Train with us today in a fun, exciting, and family-friendly environment! With confidence, a child knows they can meet any challenge ahead. 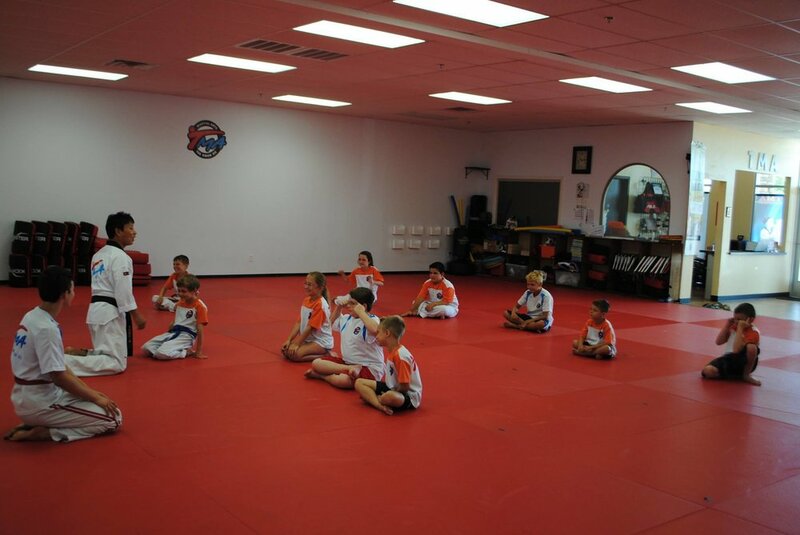 At TMA, not only do we teach students Tae Kwon Do techniques, but also how to show respect and learn self-discipline. Children are taught to develop a strong body and clear mind through the practice of Tae Kwon Do. At school, grades often improve as your child learns to focus on objectives and to work toward achievement. The self-discipline and self-respect which Tae Kwon Do develops can provide your child with the skills and mindset necessary to resist peer pressure, be honest, sincere human beings, and live life in an honorable way. With adults, our goal is to deliver all of the benefits of martial arts including improving muscle tone, increasing cardiovascular fitness, lowering stress levels, increasing energy and greater flexibility while providing the added benefits of self-defense skills and overall self-improvement. Each day will include a mix of physical and mental activities and no two days will be the same! Many families are finding Tae Kwon Do to be the perfect family activity, combining an exciting workout with a new learning experience. You have your choice of attending classes individually or coming together to our Family Class. Either way, you will have a great time and create a special family bond. Have you or your child ever dreamed of becoming a ninja? Does your family need a screen-free way to draw closer together? Are you looking for a way to grow more confident in yourself, tone your body, and learn self-defense? If any of these programs interest you, please fill out the form below and one of our amazing staff members will contact you presently.